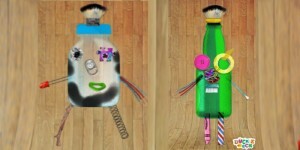 This app come from the developers Duckie Deck and Trash Toys is a fun way to teach kids about upcycling, recycling, restoring and reusing materials that they find all around them. We were using the Maglus Stylus-Mini and a original silicone tip with this app, which my little guy now automatically looks for every time he is allowed to use the tablet. 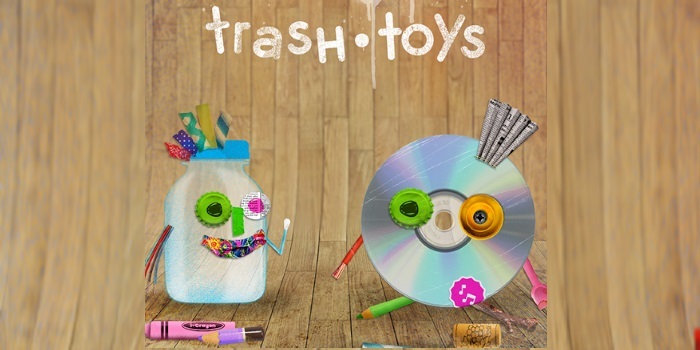 Trash Toys presents a workshop where a variety of odds and ends can be assembled to make a brand new toy. 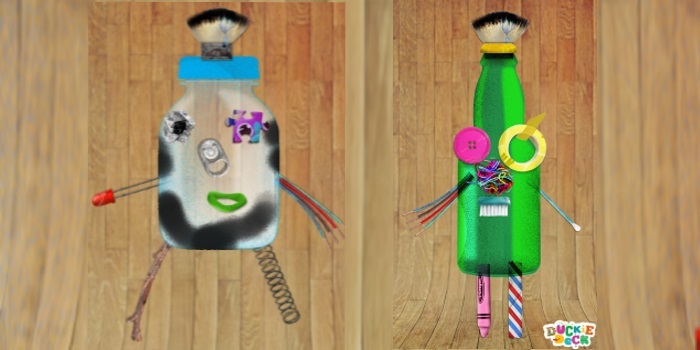 I enjoy how a backdrop for spray painting is unfolded, ready for children to choose a spray can and paint with a flick of the Maglus, while drawers full of knick-knacks provide materials for adding eyes, limbs, hair and more. When you’re satisfied with your work, take a photo to commemorate your own unique creation. These added details – be it bits of colourful string, a button, wine cork, a spring, as well as other choices – can be rotated, I like the movement added to the arm and leg pieces as they bob and sway back and forth. While my little guy is to young to use the app by himself, he really enjoyed spraying the toy’s base and it was great to see what he wanted to make from all the bits and pieces available. The Maglus works really well with this Duckie Deck app, as it allows the manipulation of the bits and bobs on the screen, without having your hand in the way- when placing the parts exactly where they look best. Trash Toys is on sale in the Apple Store for €2.49 and in the Play Store for €0.79 at the time of writing this post.